There has been some speculation and concern about whether or not Shaun the Sheep could translate to the big screen. I can only assume the concern was about the television programme of the same title and not the bleating beauty himself. Of course, Shaun was born on the big screen. He made the unconventional transition from cinema to television which so many British actors must surely envy. From Olivia Coleman to Benedict Cumberbatch, stars often get their big break on the box and then start the second struggle trying to get into film. Shaun not only achieved success in both formats but was talented enough to do it back to front; what a diva. I will never forget Shaun emerging from Wallace and Gromit’s Knit-o-Matic machine in Nick Park’s A Close Shave. Shaun is an unlikely hero. He’s the every-sheep; clever and charming. 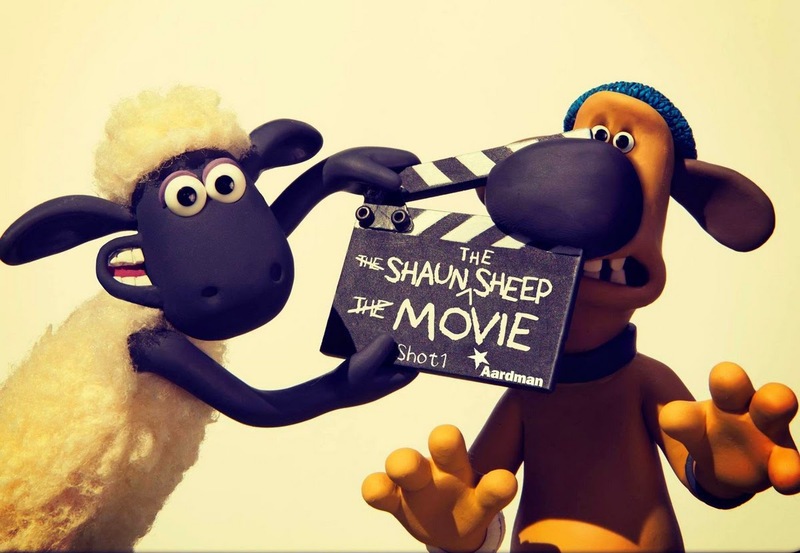 Perhaps the Jimmy Stewart of the animation world, Shaun is timeless, witty and easy to love. After many successful years on television with the rest of his herd, now Shaun is back for a thrilling cinematic caper in the big city. Aardman studios know how to appeal to children and adults alike and are not fazed by the challenge of making a film with no dialogue. Gromit always carried the sarcasm of Keaton and now Shaun proves why he is the new Chaplin. It is impossible not to like Shaun the Sheep Movie – if you don’t care for it, then baa-ram-ewe. When the dull routine of farm life begins to bore Shaun and his friends, they set about disrupting the dynamics of the system. Their plans quickly go awry and when their farmer goes missing and the pigs are running havoc in the house, in an Orwellian/Beastie Boys mash-up, Shaun and the gang have no choice but to go looking for their master. 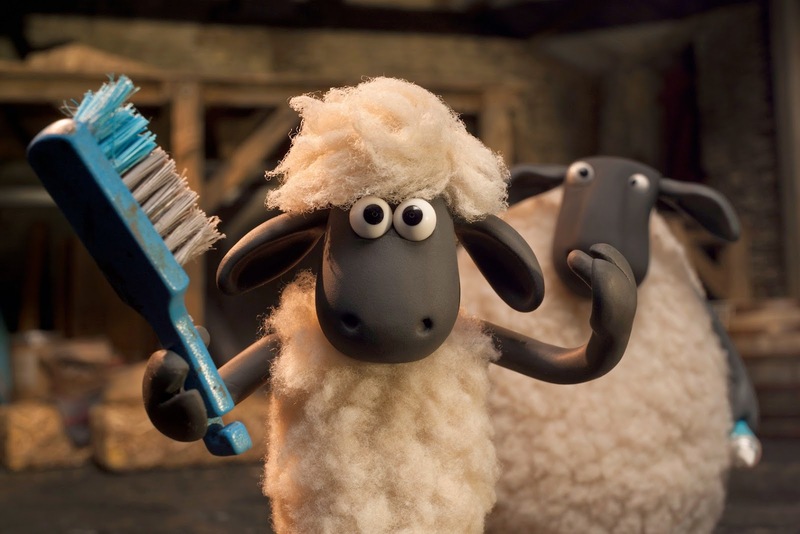 Shaun the Sheep Movie has everything we expect from Aardman. There’s puns, references, satire and personality. Even with no script, each member of the herd expresses their individuality through their specific quirks. I have never watched the television show so my memories of Shaun are only from my childhood. It was nice to return to a fond memory and see how Aardman have adapted to the constantly changing world of animation entertainment whilst simultaneously sticking to their roots. Aardman is a British institution and Shaun is one of its greatest advocates. Mr. Bean and Shaun the Sheep both made me howl with laughter at the age of eight as I watched them gasp and grumble their way through each comedic predicament. In 2007 Mr. Bean’s Holiday tainted my memory of The Bean Movie – proving why some things are meant to stay in the 1990s. Thankfully, Shaun the Sheep brings fond memories of my childhood era back to life. It is short, sweet and slick. Nothing is drawn out and the humour is visual enough for children and subtle enough to send adults into fits of giggles. I am delighted to announce that I cried with laughter at these woolly escapades. Family films like these are timeless and Shaun the Sheep Movie makes me forget about the minor glitch that was The Pirates! In an Adventure with Scientists! in the Aardman portfolio. Shaun’s return to the silver screen demonstrates why this quintessentially British studio is so precious. I’ll still be watching Chicken Run when I’m 108 – feeling like I’m back on my Grandmother’s living room floor drinking Cadbury’s hot chocolate with my nose an inch from the screen. Tags: Aardman, Animation, Cinema, Claymation, comedy, family film, film, Film Review, Movie, Movie Review, Nick Park, Review, Shaun the Sheep, Shaun the Sheep Movie, Stop Motion. Bookmark the permalink. Previous post ← It Follows.